Dolfin hosted wealth managers, advisors, lawyers and other private client professionals at an event to discuss the potential of Malta as a destination for global HNWIs. As a new generation of high-net-worth individuals comes of age in an increasingly uncertain world, they and their advisors are looking beyond established destinations such as London, Frankfurt, Zurich and Luxembourg for domiciling wealth. 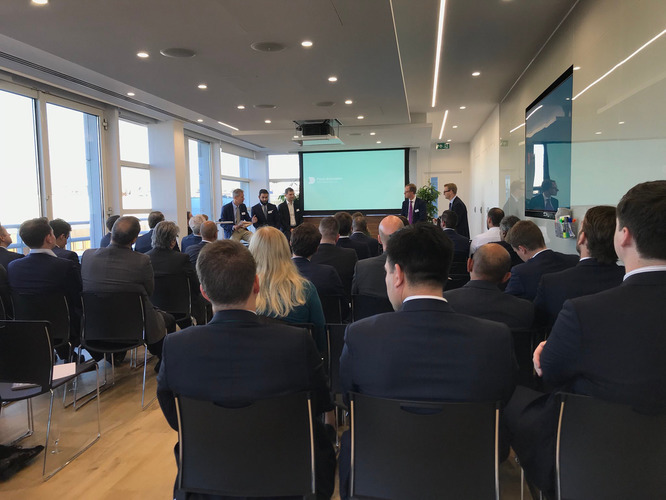 Dolfin and Alter Domus, in partnership with Finance Malta, invited some 60 wealth management professionals to an event entitled ‘Global Wealth Structures: London Meet Malta’ at our Mayfair HQ on 26 September. Malta, as Dolfin CEO Denis Nagy told delegates in his welcoming address, is not only a wonderful island to experience, but one of the best places in the world in which to do business. Denis then handed over to Ivan Grech, Head of Business Development at Finance Malta, who outlined some of the many opportunities the island offers for investors. Ivan went on to outline the factors underpinning Malta’s success: it has a single regulator, which is accessible to businesses; it has an educated workforce, with all students receiving a stipend to support them through tertiary education; it offers an excellent standard of living, with healthcare and lifestyle factors ranking highly; and its financial sector is young, nimble and agile. “Malta might be young, nimble and agile, but I am not,” joked FT journalist Yuri Bender, who moderated a panel discussion on which the speakers were Dolfin’s Head of Sales Georgios Ercan; Przemyslaw Koger, Director and Head of Relationship Management Malta at Alter Domus; Jamie Mathieson, partner at New Quadrant Partners; and Ashley King-Christopher, partner at Charles Russell Speechlys. The panel first addressed the question of family offices, and how their investment priorities have changed since the financial crisis of 2007–8. Malta, as Przemyslaw pointed out, is ideally suited for smaller funds that have in the region of €10–100m in assets under management. In particular, it offers the Notified Alternative Investment Fund framework, under which professional investors can establish a fund in a matter of days. Such funds are inexpensive to set up and can run for a long time and, while they are suited to investors with an above-average appetite for risk, they are still regulated. To be kept up to date on future Dolfin briefings, sign up here.